Clear out your schedule this coming Sunday because your evening plans now include watching Killing Eve season two when it returns to BBC America. 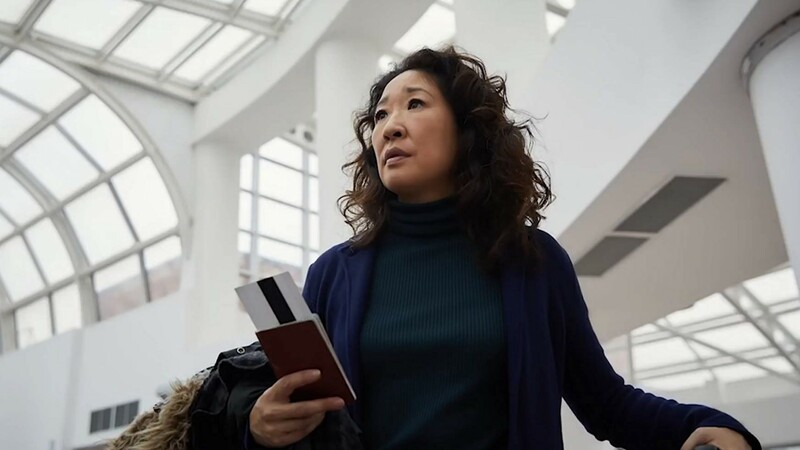 It’s been a long, painful wait for the Sandra Oh and Jodie Comer-starring series to hit the air, racking up tons of awards in the meantime (like Oh scooping up the best actress Golden Globe earlier this year) and only makes us jones to see how this tense story continues. As we wait for Sunday to arrive, let’s review the basics of season one and go over everything we need to know about season two, shall we? In season one, we met special agent Eve Polastri (Oh) and the ruthless assassin Villanelle (Comer). Eve gets clued into Villanelle’s movements, tracking her as she makes her way across Europe on various assassination missions. As Eve investigates Villanelle’s troubled past and attempts to arrest her, she slowly becomes obsessed in a way that is both dangerous and romantic. Villanelle also gets word of Eve’s investigation and begins to toy with her, sending her packages, making kills that are attention-getting and doing everything in her power to lure Eve closer. The trailer for season two shows that the tension is only going to multiply between these two women as things get even wilder. Watch the trailer below and keep reading to see what else we know about this undoubtedly twisted second season. When does the season premiere and how can I watch? Killing Eve season two will be returning on Sunday, April 7. You will be able to watch the season premiere on BBC America and, even better, season two will be airing simultaneously on AMC. Who will be returning for season two? Most of your season one faves will be back for more this time around. In addition to Oh and Comer reprising their roles as Eve and Villanelle, respectively. Additionally, Fiona Shaw will be back as Carolyn Martens, Eve’s boss with shady ties to Villanelle’s employers; Shawn Delaney returns as Kenny, Carolyn’s son and Eve’s go-to for all things tech; and Kim Bodnia is back as Konstantin, Villanelle’s boss and mentor as well as Carolyn’s former lover. How many episodes will season two have? Season two will have eight episodes, but expect them all to be packed to the brim with action, surprises and jaw-dropping twists — just like season one. Okay, but what about Villanelle’s costumes? Are they even wilder? In case you didn’t get the hint from the season two trailer, the level of extra for Villanelle’s costumes will be going up. There’s a killer preview of Villanelle wearing a giant teddy bear head, another shot of her wearing kid’s pajamas, yet another of her grimacing as she dons Crocs and another teaser that shows her wearing a chic pink number (watch below). Oh, and she’ll probably be bloody most of the time, so expect all the good clothing choices to be just a little bit grimy, which is definitely Villanelle’s style. What about Eve and Villanelle’s relationship? Are there any new characters to look out for? Yes! There will be a brand new assassin joining this season, as hinted by Fennel and reported by Town & Country. Details are slim on this new killer, but expect them to drive a wedge between Eve and Villanelle, making things even more complicated for these two. Golden Globe Winner @IamSandraOhInsta is SLAYING @nbcsnl. Your deliciously twisted #KillingEve obsession returns Sunday, April 7 at 8pm on @BBCAmerica. On a scale of one to totally bonkers, how bananas will things get? Y’all, there are no limits when it comes to Killing Eve and everything is possible. Buckle up because it’s about to get wild. Make sure you tune in for the premiere of Killing Eve season two on Sunday, April 7 on BBC America and AMC.